Community Glass & Mirror Co. is a licensed and insured glazing contractor based in Escondido, California, that serves residential and commercial clients throughout Del Mar, Encinitas, Solana Beach, and Rancho Santa Fe. Our services include the repair, replacement, and installation of windows, doors, storefronts, railing, fencing, shower doors, bathtub enclosures, vanity mirrors, wall mirrors, wardrobe mirrors, and more. 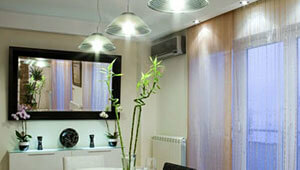 We also design and fabricate decorative glass and mirrors. All of our work is done to code and backed by our one-year warranty. By working hard to make sure that every customer is completely satisfied with our service, we have earned an A+ rating from the Better Business Bureau, have excellent reviews on Home Advisor and Yelp, and receive the vast majority of our business from returning customers and referrals. Whether you would like to have a custom mirror cut and installed for an antique frame or wish to renovate your home or office with glass railing or energy-efficient windows, give Community Glass & Mirror a call. We welcome glass and mirror projects of all sizes and provide free estimates to clients in and around Solana Beach, Del Mar, Encinitas, and Rancho Santa Fe. We’re available Monday through Friday from 8AM to 5PM and Saturdays from 9AM to 3PM for routine service, and check our messages 24 hours a day for those in need of emergency board up service. 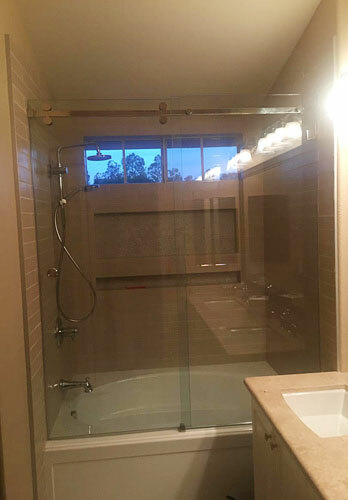 Elevate the look and feel of your bathroom with a gorgeous, well-constructed shower door or tub enclosure designed and installed by Community Glass & Mirror. Because our expert glaziers have installed thousands of custom-made, framed and frameless shower doors of all shapes and size, they can provide you with the guidance you need to get the best possible results for your bathroom at a budget-friendly price. We have access to the industry's leading shower door manufacturers and will customize your shower door or bathtub enclosure to reflect your unique needs and aesthetic preferences. 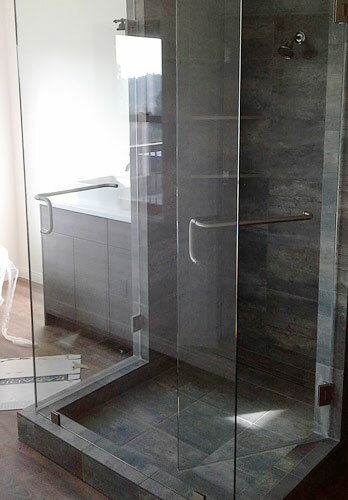 Whether you are looking to upgrade your walk-in shower with a frameless, cast glass enclosure or need affordable shower door options for a series of tenant improvements, give us a call. We provide free estimates to residential and commercial customers throughout Encinitas, Del Mar, Solana Beach, and Rancho Santa Fe. 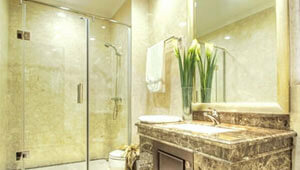 Trust Community Glass & Mirror to custom cut and install mirrors for nearly any residential or commercial need. We can make mirrors for uniquely shaped frames, vanities, wardrobes, bathrooms, dressing rooms, tabletops, bars, shelves, and more. Our glaziers know how to create high quality, beautiful, and durable mirrors that are specially designed for their intended application. Because of our skill and unparalleled results, we've become the the go-to glass contractor for one of the leading gym franchises in Southern California; anytime they open a new location, they call us to install all of their floor-to-ceiling mirrors. At Community Glass & Mirror, we can install, replace, or retrofit windows of any size, shape, or type for Encinitas, Rancho Santa Fe, Solana Beach, and Del Mar property owners. Not only are we a licensed contractor glazing contractor, but we also have over 40 years of experience providing residential and commercial glass services. We can everything from renovating a home with low-E glass windows, to installing Title 24-compliant windows for a new construction building, to replacing broken windows, glass, and screens. We also sell, install, replace, and repair glass doors for residential and commercial buildings throughout Solana Beach, Encinitas, Rancho Santa Fe, and Del Mar. Call today to work with one of the most experienced glazing companies in San Diego County. Glass railing systems are the ideal choice for anyone who prefers a modern, sophisticated aesthetic. By working with our experienced glaziers, you can install a glass railing system nearly anywhere, including along staircases, balconies, walkways, patios, pools, and more. Our glass railings are built with premium-grade tempered glass and hardware, and installed according to the industry’s best practices. Call today for a free quote for a custom designed, expertly installed glass railing, fence, windscreen, or handrail in Solana Beach, Del Mar, Encinitas, and Rancho Santa Fe. Our prices are competitive, and all of our work is done to code. 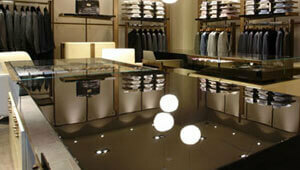 We welcome commercial glass and mirror projects in Encinitas, Del Mar, Solana Beach, and Rancho Santa Fe of all sizes. 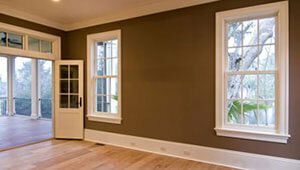 All work is done by our highly skilled and experienced glaziers, and backed by a one-year warranty. Call today for a free consultation. Whether we are installing glass handrails, a storefront, or Title-24 compliant windows, we always comply with current building codes and apply the industry's best practices for long-lasting, gorgeous results. Thank you, Steffani and Bob, for being so responsive so very early in the morning when we discovered our window had been broken . . . I've used this company twice and my grown kids have used them as well. I wanted to let everyone know that they have excellent customer service. Mike, who came out to measure and then back to install my large mirrors educated me as he was installing. Such a patient man, cleaned up after himself and truly was concerned that I was happy. He went W-A-Y beyond good customer service to excellent customer service. Thank you Community Glass and Mirror . . .